Because we know that becoming a successful writer is crucial to a student’s overall trajectory at school, work, and as a citizen, teachers must identify the tools that can best support writing instruction including the overlapping processes of drafting, review, and revision. From kindergarten through college, teachers know that writers need guided practice, substantive feedback, and opportunities for deep revision. Most digital writing tools offer limited assistance: they check for plagiarism, allow a student to track changes, or offer the ability to add comments. Even automated scoring technologies, which have long been debated by composition scholars and the National Council of Teachers of English, have the potential to help students with grammar, spelling and mechanics—but they fail to provide the holistic feedback that students need to grow as writers. When choosing technologies to support writers, teachers must aim first to design instruction strategically, while simultaneously looking for tools that can help simplify the often complex task of helping our students improve their writing. From kindergarten through college, teachers know that writers need guided practice, substantive feedback, and opportunities for deep revision. 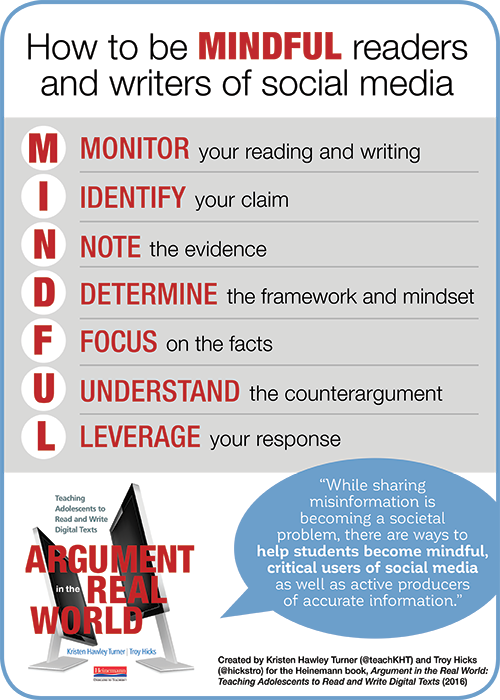 Decades of research on writing instruction all point to these ideals, which can be put into practice in any classroom with appropriate support. Here is what the research tells us about how to help students grow and achieve their writing goals. When writing, students must engage in a multi-step process of goal-setting, planning, drafting, evaluating, revising, and editing. Dr. Gary Troia of Michigan State University recommends that writing be taught in all subject areas, and, on the whole, for at least one hour per day. “The belief is that writing affords students extended opportunities to think about, manipulate, and transform ideas and reflect on their existing knowledge, beliefs, and confusions,” says Troia. Writing practice is important to ELA and content area proficiency, and is most effective when it extends directly from instruction. Because literacy instruction spans many subject areas, genres, and skills, writing practice needs to be flexible. Teachers should look for tools that help them easily adjust instructional scaffolding from assignment to assignment and from student to student—allowing them to meet students where they are as they learn to write for authentic audiences. When appropriate, students can learn to share their work through social media or sites like Youth Voices, extending their sense of audience, purpose, and genre that comes from a foundation of good writing instruction. The act of writing, in and of itself, is not enough. While students can elicit comments in the margin of a document, the late Dr. Grant Wiggins, author of Understanding by Design, suggests that the feedback students receive must go beyond being timely and ongoing—it must also be goal-oriented, actionable, and consistent. Simply stating “your transitions need work” is not nearly enough. Instead, in our reviews—and in teaching our students how to offer reviews to one another—we need to help them connect specific examples from the author’s piece to the criteria by which the writing is being evaluated. The act of reviewing helps students build metacognition as writers; the act of being reviewed by an authentic audience drives students to write with purpose. Students, in most classroom contexts, are not accustomed to being evaluators. They need guidance to help them understand how their feedback can help other writers during revision. To integrate self and peer review thoughtfully into the writing process, educators should consider tools that provide adequate instructional scaffolding and clear feedback criteria. Teachers can aid students through margin comments in Google Docs or rubric builders like Rubistar, but they should be sure to strengthen instructional support through clear assignment design and built-in checklists and comment stems that help students as they write, review, and revise.
. . . students are usually taught to see revision as a process of merely editing for errors, not as a way to literally re-envision their work. In her groundbreaking article, Dr. Nancy Sommers of Harvard noted that, “it is not that students are unwilling to revise, but rather that they do what they have been taught to do in a consistently narrow and predictable way.” In other words, the way that revision gets taught in school typically doesn’t align with what real writers do. Skilled writers develop a macrostructure of the text and consider main ideas and cohesion as they revise. However, students are usually taught to see revision as a process of merely editing for errors, not as a way to literally re-envision their work. Deep revision requires more than simple surface-level editing. Writers play with word choice and punctuation as well as with the order of ideas, the amount of detail, and the overall organization of a piece of writing. Revision is most effective when it’s viewed as holistic and incorporated from the earliest stages, and emphasized as both an outcome of and a contributor to the writing process. There are a number of strategies that we can use to guide students during revision including copy change and sentence combining, but teachers should ultimately look for strategies that cater to each student’s needs, as well as those that focus on earlier-stage revisions that are structural, meaningful, and repeatable. The research is clear: providing students time for structured practice, coaching them to give quality feedback to one another, and engaging in meaningful revision can all help writers grow. And, while there are several tools that can help students edit their work, there is more to writing than just correcting errors for late-stage technical proficiency. I work with teachers every day to improve their writing instruction. 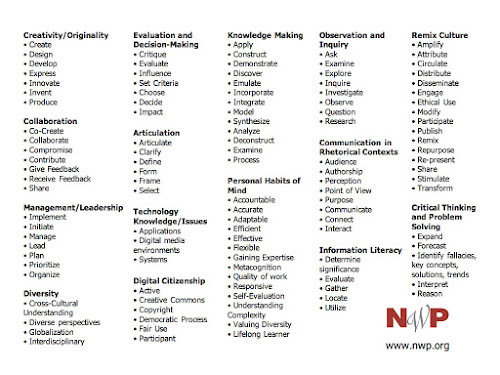 I hope the resources I share on my wiki can be helpful, such as the, List of 21st Century Literacies, the MAPS heuristic for identifying the choices a writer must make, and the MINDFUL heuristic for teaching students about digital arguments. So, too, can the web-based app I’m helping develop: Writable. We’ve built Writable to help teachers support and extend their writing instruction—with dashboards that help them guide and assignments and rubrics that are flexible to adjust. Students learn to apply self, peer and teacher feedback to their revisions, and these revisions become an authentic part of the writing process. How do you provide your students with scaffolded practice, ideally that’s easy to adapt to your instruction? How do you invite your students to respond to one another? How do you help them offer authentic and goal-oriented feedback? How do you encourage revision, and what types of tools and strategies are most effective? Feel free to use the comment area below or reach out on Twitter: @hickstro. This article has been adapted from a research summary written by Dr. Troy Hicks. This article was sponsored by Writable and not written by the EdSurge editorial staff.